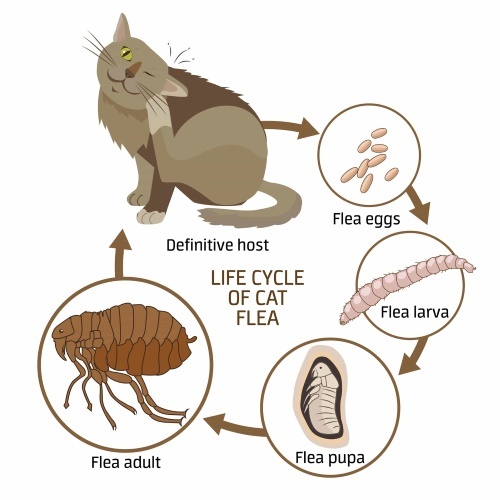 In this article, you’ll learn all about fleas – how your cat gets them, what they do, and how their life cycle relates to your treatment plan. Are flea treatments toxic to cats or humans? Don’t flee from fleas – fight back! Prevents the infestation from growing. You’ll also learn about the different types of flea insecticides on the market, discovering which ones are safe and which could poison your cat. Finally, you’ll find out how to choose the best flea treatment for your unique cat. By choosing the right flea treatment, you can spare your cat from the itching and irritation that comes with a flea infestation. You’ll also protect them from some of the more serious consequences of being a flea host. For small, weak cats, especially kittens, a severe flea infestation could be deadly. As a scourge of fleas feasts on their blood, the kitten could become anemic. First, you need to know what you’re dealing with. Understanding the flea life cycle is central to your flea treatment plan. Cats are usually affected by the Ctenocephalides felis or cat flea. This species is a member of the Siphonaptera order of insects, a name meaning “wingless siphon”. The name is an accurate description of the flea – this parasitic blood-siphoning insect is a master jumper that doesn’t need wings to fly. Instead, they use their powerful back legs to jump up to 160 times their body length. That’s the equivalent of a 6-foot-tall human leaping 960 feet. For a flea, this amounts to a maximum jumping distance of 7” vertically and 13” horizontally. Fleas thrive in warm, humid environments. In balmy regions, they may be active all year. In climates that experience cold winters and warm summers, fleas remain dormant until the weather warms. Adult fleas jump onto your cat’s warm, comfortable body and start sucking their blood. About two days after taking up residence on your cat’s skin, the females will start releasing tiny white or cream-colored eggs. These eggs usually drop off of your cat and will start hatching wherever they land. After hatching, the larvae can remain in a cocoon for up to a year before re-emerging as bloodthirsty adults. By the time you’ve gotten rid of the adult fleas on your cat’s skin, another generation of fleas is likely already growing in your home, ready to latch onto the host again. Because a single female flea can release 50 fleas every day, immature fleas represent 95% of the flea population. Adult fleas, which are the easiest to see as they crawl about, represent a measly 5%. If your cat picked up fleas outside of the home and you catch the infestation early, you may be able to remove or kill the adult fleas before they’ve laid any eggs. In most cases, however, the fleas on your cat’s body are a tiny fraction of the total infestation. You’ll need to destroy the eggs, larvae, and pupae in order to prevent the next generation of fleas from making themselves at home on your cat’s body. You can work with your veterinarian to establish a treatment plan appropriate for your cat. The following is a general guide. Identify the infestation: If your cat has been scratching more than usual, confirm that fleas are to blame by thoroughly combing your cat with a fine-toothed flea comb. You may find live fleas, flea dirt, eggs, or any combination of the three. Because cats groom themselves, they can consume a large percentage of the adult fleas on their body, so flea dirt is often more prominent. Flea dirt or flea droppings appear as tiny black or dark brown particles in your cat’s coat. When you smear them on a white surface, these particles will turn red, indicating their blood content. Additionally, combing your cat removes most of the fleas on their body and provides temporary relief. Consider gently bathing your cat in non-toxic dish soap: Especially if your cat is a small kitten who’s sensitive to chemical insecticides, this is a gentle way to remove adult fleas and flea dirt from your cat’s body. If you know your cat will go ballistic in the bath, skip this step. There’s no need to make this experience traumatic. Treat your cat with an appropriate flea treatment: This is typically a spot-on or oral medication. Treat your home: Make sure to treat your home and surrounding areas to destroy eggs, larvae, and pupating fleas. Rinse and Repeat: Re-apply flea treatments as necessary. Cat flea treatment insecticides can be divided into two groups: adulticides and insect growth regulators. The following is an abbreviated list and brief summary of some of the most common insecticides used in flea treatments for cats. If you want more in-depth information, click here for a useful directory of flea treatments with comprehensive toxicity information. As the name suggests, adulticides only kill adult fleas, which means that they eliminate just 5% of the infesting flea population. Although adulticides are sometimes used on their own, particularly in oral medications, they’re often combined with insect growth regulators, which slow the infestation by preventing the fleas from reproducing. Pyrethrins are naturally-based and derived from the Chrysanthemum cinerariaefolium plant, along with other pyrethrum-related plant species. They’re commonly used in flea powders and shampoos. Pyrethrins are commonly lumped together with their synthetic counterparts, permethrins. In fact, the two have disparate toxicity values for cats. To clear up some of the pyrethrin confusion, read this highly-informative piece on the safety of pyrethrins for cats. This chemical is commonly sold under the trade name Capstar. It kills adult fleas and is a popular choice among veterinarians, who appreciate its ability to destroy a large flea population in under 30 minutes. It acts quickly and also wears off quickly. This chemical requires daily administration to have a continuous effect. 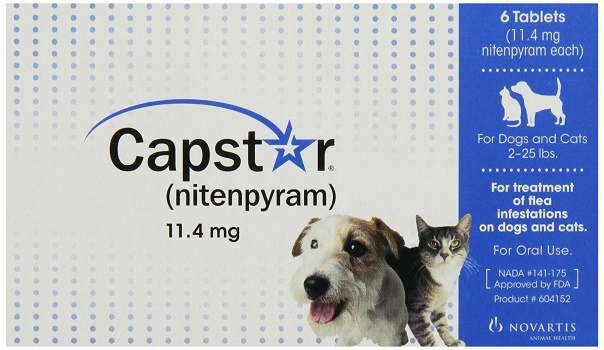 Nitenpyram is generally considered safe for use in kittens aged 4 weeks and over, provided that they weigh over 2 lbs. This is the active ingredient in Advantage and Advocate. 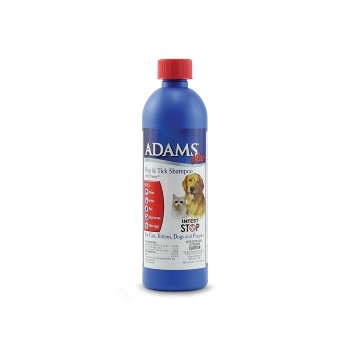 It’s considered very safe and works quickly to destroy large flea populations. Most medications using imidacloprid are safe for use in kittens over 6 weeks of age. As always, read the labeling on your unique treatment to determine whether or not it’s safe for your cat or kitten. This insecticide is the active ingredient in Frontline products. It’s used to kill adult fleas in spot-on treatments. It’s considered quite safe and can wipe out a large, vibrant flea population within 24 hours. These affect fleas’ hormones to inhibit growth and reproduction. This chemical mimics natural hormones and stops fleas from reaching adulthood, preventing reproduction. Like pyriproxyfen, this chemical mimics natural hormones, preventing the fleas from ever growing up and making eggs of their own. Remember that all chemical flea treatments are inherently toxic on some level – they’re poisons and formulated to kill. Most of these treatments are only deadly to insects and, when administered correctly, won’t harm your cats. Unfortunately, this isn’t always the case. Disturbingly, flea treatments have been connected to toxicity in cats thousands of times over the years. Some flea treatments have remained on the market while presenting a risk to both cats and humans. And even if you choose an insecticide with a great reputation, it’s hard to predict whether or not your cat will have a bad reaction to any given insecticide. These synthetic insecticides are more powerful and longer-lasting than naturally-occurring pyrethrin. They’re toxic to cats and are never a good flea treatment choice. Pyrethroid chemicals include allethrin, cypermethrin, deltamethrin, fenvalerate, fluvalinate, permethrin, phenothrin, tetramethrin, and etofenprox. Most mammals can handle permethrin because their livers quickly filter out the toxin. Cats, however, lack glucuronidase, a detoxifying enzyme that helps to process the insecticide. This means that contact with permethrin is highly toxic and sometimes fatal for cats. While permethrin is rare in cat flea medication, it’s common for cat guardians to give their cat a heavy dose of permethrin by administering a treatment made for dogs. Your cat may also get sick from simply being in contact with a dog who has been medicated with a spot-on flea treatment containing permethrin. This insecticide can harm people who pet their cats after application, so it’s not recommended that you choose selamectin. Sometimes referred to by the abbreviation TCVP, this chemical is a neurotoxin that affects fleas. It’s particularly common in flea collars. 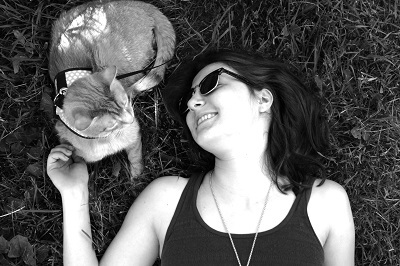 TCVP could be harmful to both you and your cat – it’s classified as a possible human carcinogen. This chemical is in the N-methyl carbamate class of insecticides. It’s a neurotoxin that causes overexcitement of the flea’s nervous system, eventually leading to the insect’s death. Because of its potential for toxicity in both cats and humans, it’s not recommended for use as a flea treatment for cats. Natural Flea Treatments and Home Remedies – Do Any of Them Work? There are numerous natural treatments that can deter fleas, but very few can eliminate a flea infestation. Peppermint oil and clove oil are commonly recommended as natural flea treatments for cats. Some veterinarians, such as Melissa Shelton, DVM, believe that the right high-quality essential oils are safe for cats, while the majority of pet health practitioners agree that they should be avoided. At this point, the argument against essential oils has more weight. Cats lack a liver enzyme needed to process these oils. Whether given orally, topically, or inhaled, concentrated essential oils can seriously harm your cat. Diatomaceous earth, a natural powder made from the fossilized remains of ancient sea creatures, is sometimes recommended as a natural cat flea treatment. When magnified under a microscope, particles of diatomaceous earth look like shards of glass. Like shards of glass, these particles lodge in the fleas’ bodies and either cut them into pieces or dehydrate them to death. Food-grade diatomaceous earth is a completely safe and natural treatment for fleas in the environment, but you should proceed with caution when applying it directly to your cat. Diatomaceous earth is dehydrating, so it could cause your cat’s skin to flake and crack uncomfortably. It’s primarily silica, and inhaling it could be detrimental to your respiratory health. What’s the best over the counter flea medication for cats? Over-the-counter medications can be just as effective and safe as prescription flea treatments. Sometimes, these treatments contain previously patented active ingredients associated with prescription medications. When the patent expires on an active ingredient used in a prescription product, manufacturers of generic products may scramble to sell low-cost generic alternatives to the prescription treatment. While they’re not necessarily dangerous, OTC medications aren’t always safe, either. Just as it’s important when choosing a prescription product, research and careful analysis are key to choosing the right OTC medication. Because the best oral flea treatment for cats are almost always safer than topical treatments, the best over-the-counter flea medication for cats is an oral treatment. This flea collar’s active ingredients, flumethrin and imidacloprid, have a reputation for safety. They’re also effective, working together to kill adult fleas and prevent reproduction. This flea collar can keep your cat flea-free for 8 months. While the Seresto flea collar may be the best of its type, results vary. This flea collar gets its share of negative reviews from people who say that their cat had a severe skin reaction to the chemicals in the collar. Proceed with caution. This nitenpyram-based oral medication is safe for cats and kittens weighing 2-25 lbs. It has the same active ingredient and performance as Capstar, but it’s sold at a marginally lower price. This oral medication starts working in 30 minutes and kills adult fleas on your cat’s body. The effects of the pill will last for about 24 hours, at which time any new fleas will jump onto your cat’s body and survive. You’ll need to thoroughly treat the environment in addition to using this treatment, then re-administer as necessary. What’s the best oral flea treatment for cats? Oral medications may initially seem more dangerous than topicals. In reality, they’re usually formulated with gentler ingredients that are safe for your cat to ingest and are under stricter regulation. Oral treatments are usually strictly adulticides, so their effects are temporary. The best oral flea treatment is reliable, safe, and easy to administer using a pill pocket or by crushing the tablet in your cat’s food. These nitenpyram-based tablets are safe for cats and kittens weighing between 2 and 25 lbs. It destroys adult fleas in 6 hours, but won’t do anything to prevent infestation growth. Capstar is a temporary solution that can provide some relief for about 24 hours. What’s the best spot-on flea treatment for cats? Because they have long-lasting effects and treat fleas thoroughly, these are some of the most popular and effective flea treatments available. You apply these medications to the back of your cat’s neck, where they can’t lick off the gel. These treatments start working within 12 hours and usually contain insect growth regulators, which stop flea growth and reproduction. 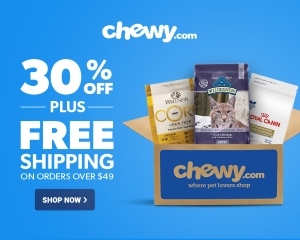 Each dose of this spot-on flea treatment will protect your cat from fleas for 30 days, both killing any adult fleas and preventing them from successfully reproducing. The active ingredient in this spot-on is fipronil, which kills adult fleas, while s-methoprene prevents flea maturation and reproduction. Both of these have a solid safety history. 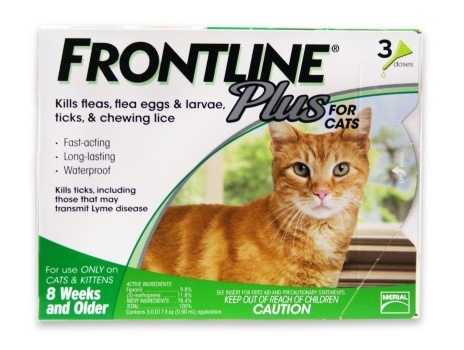 Frontline Plus is safe for use on cats and kittens 8 weeks and older. What’s the best flea collar for cats? Flea collars release small amounts of insecticide chemicals, which spread over your cat’s body and absorb into their skin, killing existing parasites and helping your cat to repel new fleas. They demand little to no human intervention, working around the clock to protect your cat. This makes them an extraordinarily convenient and low-maintenance option. However, the dangerous side effects of using flea collars often outweigh the convenience of this flea control option. Flea collars tend to use harsh chemicals that have negative effects for both cats and humans. What’s the best flea spray for cats? Because cats groom, it’s important to choose a flea spray that’s completely safe. Also remember that humans and other animals who come into contact with your cat will also touch the flea treatment. Choose products that are non-toxic and 100% safe for both you and your cat. This insecticide spray is made without harsh chemicals. The active ingredients are peppermint oil and eugenol, also known as oil of cloves. The spray kills both adult fleas and eggs. Remember that essential oils are generally considered unsafe for cats. The company says that while concentrated or undiluted essential oils are dangerous for cats, this dilute blend is completely safe both to apply directly to your cat and to use in the home. Out of almost 400 customer reviews, only two mentioned potential negative reactions to the product, and neither involved symptoms typical of essential oil toxicity. It’s safe to spray it directly on your cat’s bedding, along with on your carpet, curtains, and furniture. It’s also safe to use in your kitchen and around food without worrying about contaminating your family’s meals. Unlike other insecticide sprays with a harsh smell, this spray has a pleasant peppermint scent. What’s the best flea shampoo for cats? Although cats usually don’t care for baths and you can get the same quality coverage from a pill, some people may prefer using a flea shampoo. The best flea shampoo for cats is free from toxic ingredients and completely safe for cats. Remember that a product safe for dogs isn’t necessarily approved for cats, who may ingest shampoo residue during grooming. This shampoo contains pyrethrins, which kill adult fleas, synergized with piperonyl butoxide. It also contains pyriproxyfen, an insect growth regulator that helps to prevent the infestation from growing. In addition to the active ingredients, this recipe contains soothing aloe, lanolin, coconut extract, and oatmeal. 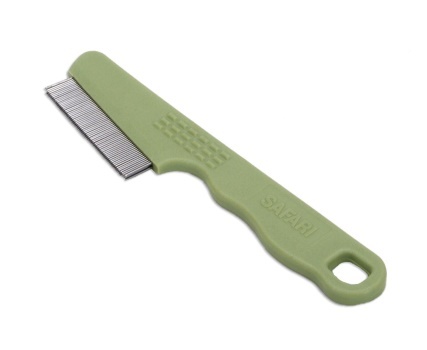 What’s the best flea comb for cats? This video shows you how to remove fleas from your cat’s coat using a flea comb. It’s important to work methodically across your cat’s body to ensure that you capture all of the fleas. Combing alone can remove over 80% of the adult fleas on your cat’s body. You must immediately kill any fleas and eggs that you’ve accumulated on the comb. Dunk the comb into a bowl of soapy water immediately. This comb’s two rows of fine teeth will help you to thoroughly go through your cat’s coat, removing flea dirt and fleas from their body. The fine teeth effectively grab and remove fleas. Remember that there’s no way that this comb can trap the fleas permanently, so you’ll still need to immediately dunk them in soapy water. What’s the best flea treatment for indoor cats? Fleas can migrate into the home on the bodies of other pets, hop in through opened doors, and may hitch a ride on the household humans. That said, indoor cats are less likely to have flea problems than their outdoor-dwelling friends. While you may choose to use a preventative treatment on cats living in a flea-prone area, it’s not necessary. If you’d rather minimize the amount of chemicals applied to your cat, you may choose to skip monthly preventatives and spot-on treatments. 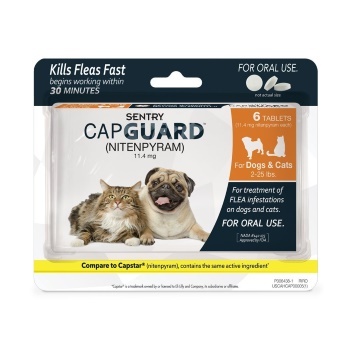 Oral flea treatments are the safest choice, so go with a trusted flea tablet like Capguard. What’s the best flea treatment for kittens? Small kittens, especially those under 12 weeks, are particularly sensitive to the insecticides used in most chemical flea treatments. Instead of treating your kitten with a spot-on medication or other insecticide, you can treat them with simple combing, bathing, and environmental treatment. This video shows what happens if you don’t make a protective soap necklace while bathing your flea-riddled kitten. If your kitten is old enough to use an insecticide treatment, it’s best to opt for an oral medication, as they’re usually safer than topicals. Sentry Capguard is approved for kittens as young as 4 weeks, provided that they weigh over 2 lbs. The fleas on your cat’s body are just a symptom of a larger infestation. When you treat your cat for fleas, you need to treat your home and outdoor surroundings as well. Remember that fleas lay their eggs in crevices and corners throughout the house. These eggs and the larvae that hatch from them may lurk in your bedding, around cushions, deep in the carpeting, and in curtains. They’ll be particularly prominent in your cat’s beds, trees, and in any cat-specific living areas. Don’t underestimate the value of vacuuming. Use your vacuum to clean up eggs, larvae, and adult fleas from all vacuum-safe surfaces. To avoid reintroducing vacuumed fleas, don’t forget to empty the vacuum bag or canister outdoors. Some people apply a flea spray to the inside of their vacuum canister as an added precaution. Wash bedding in hot water and dry on high heat. Fleas die at temperatures over 95 degrees F or 13 degrees C – this means that they’re no match for the high temperatures in a hot washing machine and dryer. In addition to overheating the fleas, these appliances have the ability to kill fleas of all life stages by drowning, dehydration, detergent poisoning, and physical battery. Alternatively, leave your cat’s bedding and any other potentially affected items outdoors on hot, sunny days with very low humidity. After several days, the heat and dehydration should have destroyed any adult fleas, larvae, pupae, or eggs living in the bedding. Consider using an insecticide spray in the home. Using one of these sprays can kill the fleas that are infesting your cat’s environment. One 16 oz can of this carpet spray can treat up to 2,100 square feet. It contains Nylar, a trade name for pyriproxyfen, which is an insect growth regulator. Whenever using an insecticide spray, it’s important to keep your cat out of the room until the treatment has dried. Read the labeling thoroughly and never spray the insecticide near your cat’s food, near fish tanks and bird cages, or directly on your cat. Beneficial nematodes can help eliminate outdoor parasites. If you believe that the flea infestation may have originated from your yard, it’s important to get rid of the parasites that are lurking outside of your house. Left untreated, your yard will remain a safe haven for fleas that will eventually latch onto humans, cats, and other pets, perpetuating your cat’s flea problem. While they’re invisible to the naked eye and are completely safe to you and your pets, beneficial nematodes are a deadly menace to the fleas who are living outdoors. These microscopic organisms – Steinernema Feltiae nematodes – destroy flea larvae living outdoors. Each package of 10 million nematodes treats 285 square feet, so you may have to buy several containers to eliminate an infestation in a large yard. With the right preparation, a solid flea treatment plan, and an arsenal of the best flea treatments on the market, you can effectively eliminate the fleas that are making your cat miserable. Remember that your veterinarian can help you to choose flea treatments that align with your cat’s unique situation and medical background. My blue Russian foams at the mouth and gets lethargic and has bad reactions if a topical flea medication is applied. I’ve tried almost every brand. She hates dawn bath and I hate traumatizing her doing it. She doesn’t have fleas now but I want to prevent her from getting any. She is 95 percent indoor. I’ve been reading about capstar oral flea treatment. Is this safe to give them daily? What is the best flea protection for sensitive cats. We have no carpets. I vacuum and mop 2-3 times a week. Wash the bedding weekly but it seems we keep getting fleas. We live in south Carolina and our yard is mostly sand. Capstar appears to be safe and can help to destroy an active infestation, but it only kills adult fleas and isn’t something I would want to give my cat as an ongoing preventive treatment. A good alternative is a prescription-only tablet called Comfortis, which is administered orally like Capstar but provides 30 days of protection. It appears to be safe for cats. If that doesn’t work, you might consider using the Bayer Seresto flea collar. It’s the only flea collar I’d feel remotely comfortable using. It’s made with flumethrin and imidacloprid, the latter of which is commonly used in topical flea medications. 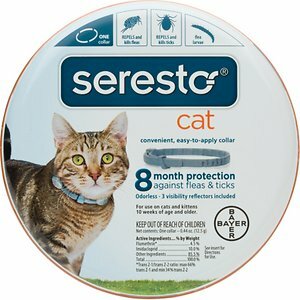 I would look back at the products you’ve used in the past to make sure your cat isn’t sensitive to anything in the Seresto collar, then cautiously try it out. You must be frustrated, by the way! It sounds like you’re doing everything right and the fleas keep coming back. I just did a quick Google search and found that, according to Banfield veterinary hospital data, the state of South Carolina is ranked third in the nation for the most dogs with fleas. For some reason, it doesn’t make the top five for cats, but still—you’re definitely in the so-many-fleas-it-drives-you-crazy zone. Hope you and your cat find something that works soon!